Not even a full decade ago, the way we used to travel was much different and, frankly, a lot more challenging as people usually had to rely on travel agencies or travel agents to thoroughly plan and arrange everything for them. Nowadays, the whole process before embarking on a journey is much, much easier. With modern-day mobile phones and WiFi, you can do all of it yourself by using some of the many apps that compile and organize the information for you. Best traveling apps of today allow you to book flights and hotels before you even set on your journey, while you can use other apps even on the go. Skyscanner is an outstanding app that will make you want to travel more by notifying you about the best prices of flights, hotels and even rental cars. The app works in sync with its travel partners and displays the cheapest dates to fly and sends out a notification if the price changes. If you are looking to travel and take a small vacation but are still not sure about the exact location and where you want to go, Skyscanner can show you the best deals that the nearest airport to you offers. It is a fantastic app to help you with new traveling experiences. This app is relatively similar to Skyscanner, so we won’t go into too much detail. However, Kayak deserves its own mention as it offers exclusive deals that you won’t find anywhere else. It also has a Price Forecast feature which can help you decide whether to start planning your trip now or wait and get the flight or the bookings at a lower price. The only reason Airbnb is not the top mention is that it is not available, or rather, the way it operates is not legal in every country. Namely, it gives travelers a chance for a more authentic experience whereby they can share a home with a local. Also, it is a lot more profitable as the prices are way under than those in the hotels. 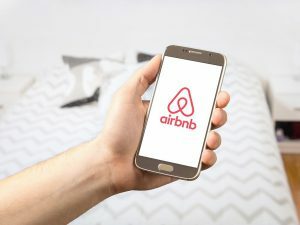 Airbnb also comes with a ton of features and will easily be your app of choice if ‘’airbnbing’’ is legal in the place you’re visiting. Instead of looking for a cab or a taxi stand, simply call Uber. The app is active in a bit more than 80 countries and more than 800 cities across the globe. Uber allows you to request and share a ride, pick a vehicle, and choose the most affordable rate. Sit comfy and track the location of your ride while you wait for it to arrive. The best thing about it is that you can do it all on the go and pay with your credit card. 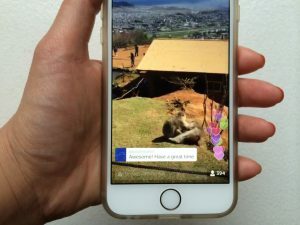 If you’re enthusiastic about traveling, the apps we mentioned seem like a must-have as they will allow you to have complete control over your plans and organize your trip. All of them are all available on both the iOS and Android.